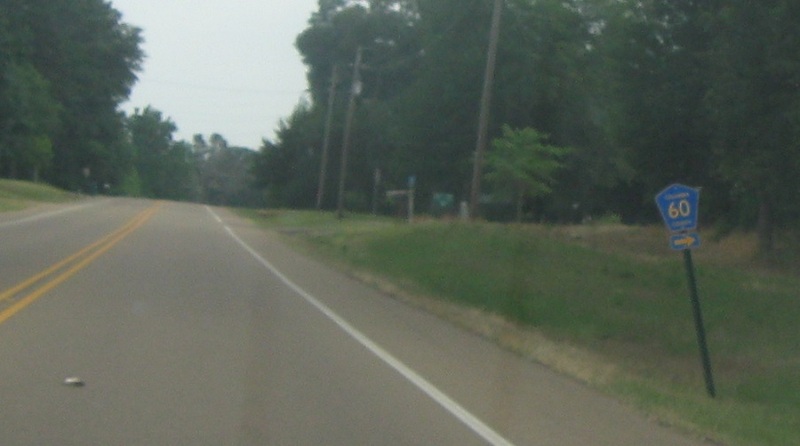 Reassurance shield after the 355 junction. 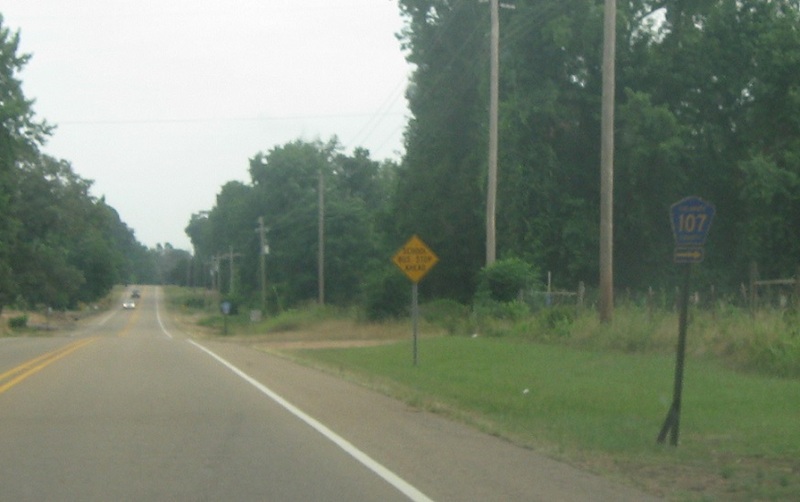 Turn left for CR 60 east. 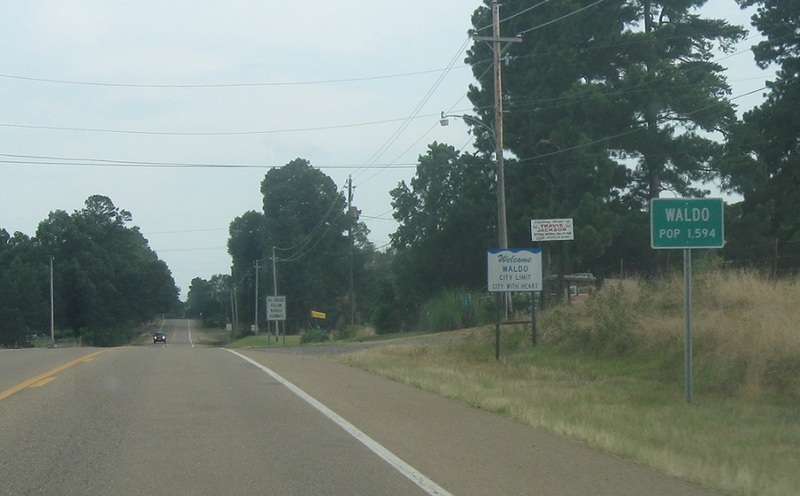 Turn right for CR 60 west. 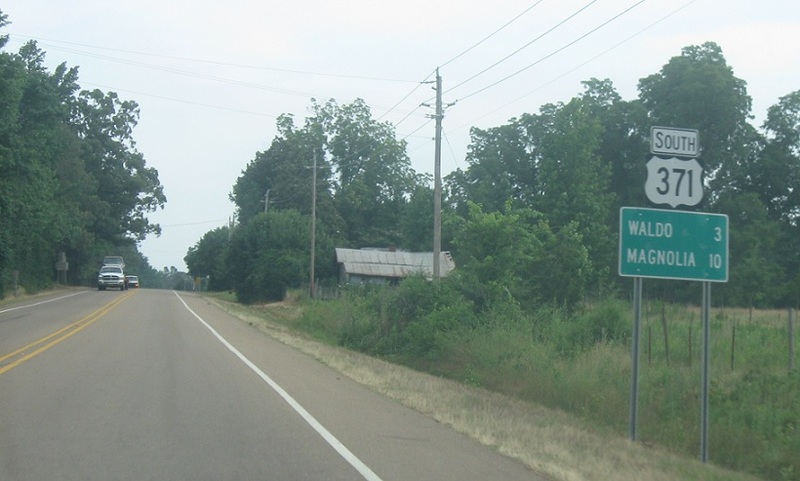 A mile or so later, we’ll enter the town of Waldo. 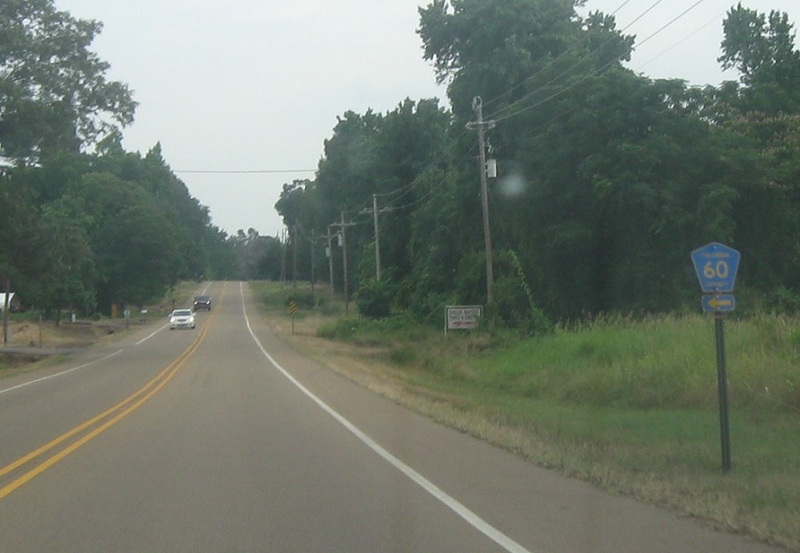 At the stop sign, turn left to stay on US-371 as we approach Arkansas 98. 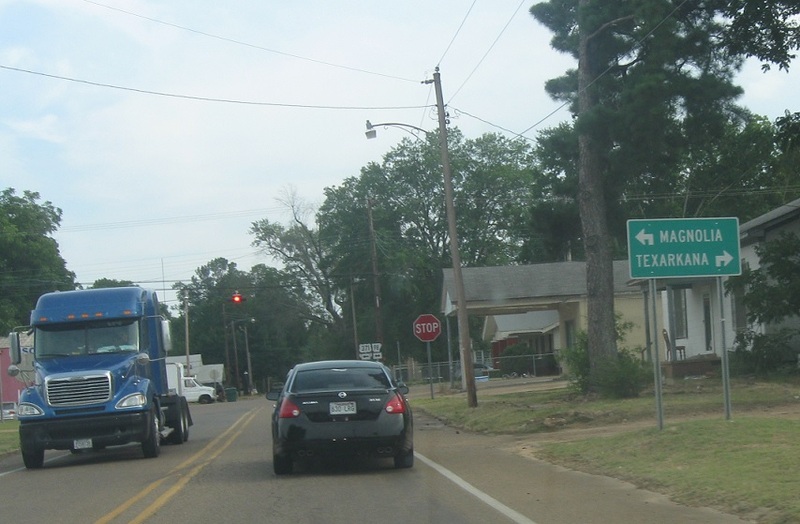 Follow 98 west towards Texarkana. Take 371 south and 98 east towards Magnolia. 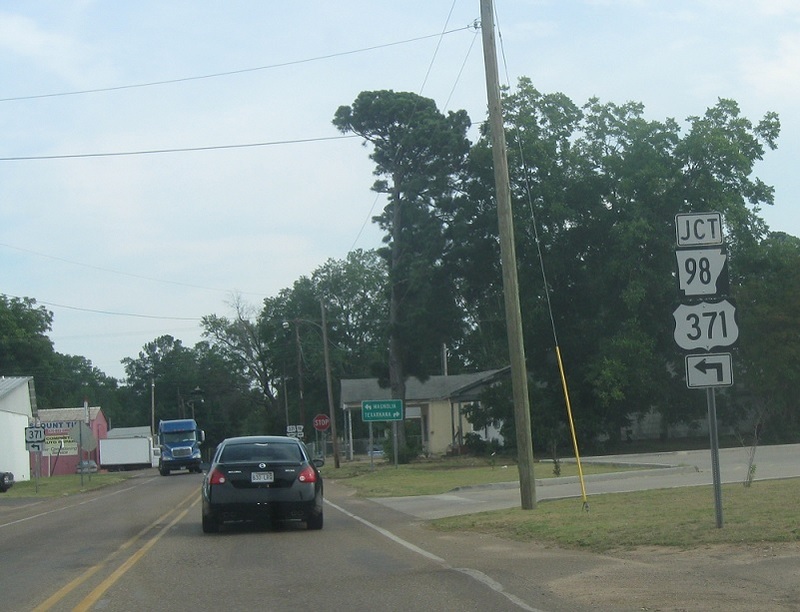 Turn right for Highway 98 west. 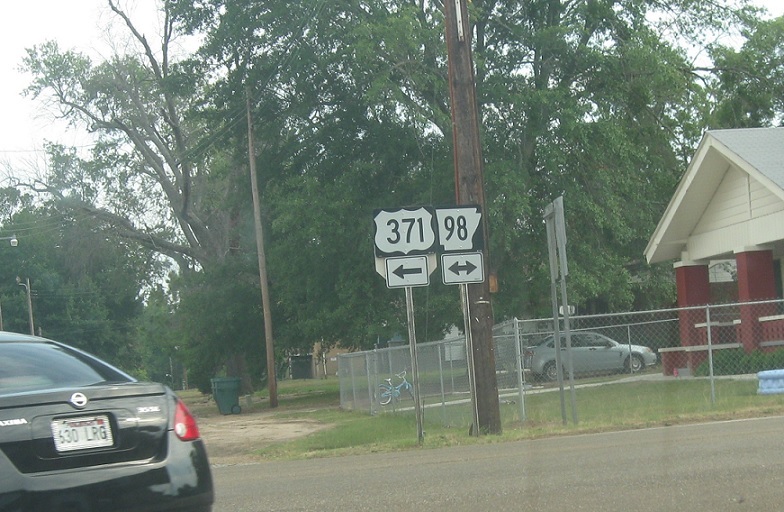 Turn left for 98 east and 371 south.